anaclisis [anaclisis] f. (Fisiol. hum.) Decúbito, especialmente el supino. (Estar acostado hacia arriba.) aná ἀνά (gr. ‘hacia arriba’, ‘por completo’, ‘de nuevo’, ‘por partes’) + klī‑ κλῑ‑ (gr. ‘inclinarse, tumbarse’; κρεβάτι, κλίνη ‘lecho’) + ‑sis (gr.) [Leng. base: gr. Antiguo. En gr. anáklisis ἀνάκλισις con el mismo significado desde Hipócrates, s. V a.C., reintroducido] // En psiquiatría, dependencia emocional, inclinación hacia el ser de quien se depende o que domina, en particular la primera relación objetal que establece el niño, caracterizada por la completa dependencia de éste respecto de su madre. Anna's 1912 exile to Merano at the age of 16 – Merano, the site of Mathilde's 1905 recuperation from her surgery (and, in 1898, of Mama's vacation-interrupting intestinal troubles, when Anna was two and a half) – put her in an epistolary relationship to Papa that set the stage for years of written conversation, mediated later by Frau Lou Andreas-Salomé and finally by the chastely-loved Dorothy Burlingham. As was his wont, Freud courted his friends and followers through letters, asking that they tune themselves to his shifting interests and acquiesce to his neediness for them as correspondents. Anna stands last in the series Silberstein, Flüss, Fliess, Jung, Anna. Freud’s need here is mortal, and Anna will meet that need in the service of her father’s immortality. In 1942, during the Blitz, Anna Freud started filling a folder titled "About Losing and Being Lost" with [German] text of dreams and associations pertaining to the death of loved ones. In 1948 she drafted an essay on this title – concerned with children’s reactions to the absence of parents – which she delivered in 1953 but did not publish until 1967 (Young-Bruehl, 1988, pp. 284-286; Freud, A., 1967). Young-Bruehl was allowed to read these notes in preparation of her biography of Anna Freud (Young-Bruehl, 1988, p. 483, Note 47). What happened to issues of losing, and of being lost, for Anna Freud during those twenty-five years? How does she represent herself in relationship to her dead father in this period, and how are these representations tied to her dreams and to her (renounced) desires? Alb. The troops by Edmund raised, I have disbanded; Those that remain are under my command. What comfort may be brought to cheer your ageAnd heal your savage wrongs, shall be applied; For to your majesty we do reign Your kingdom, save what partyour self conferred On us in marriage. Kent. Hear you that, my liege? Lear. Why I have news that will recall thy youth; Ha! Didst thou hear’t, or did th’inspiring godsWhisper to me alone? Old Lear shall be A king again. Kent. The prince, that like a god hath power, has said it. Lear: Cordelia then shall be a queen, mark that: Cordelia shall be a queen; Winds catch the sound and bear it on your rosie wings to heaven. If Freud is Odysseus, so long awaited in Ithaca, then Anna is Telemachus, the adolescent son. Related Anna Freud Resources Anna Freud: 1895 - 1938. Sigmund Freud Museum, Vienna. (cf. Anna Freud. Freud Museum Publications. 1993; cf. Life and Work of Anna Freud. Freud Museum, London.) 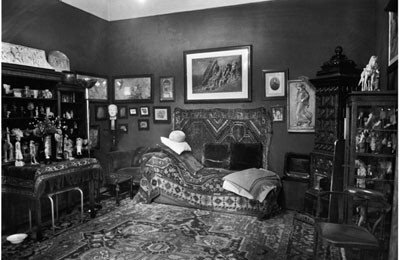 Already in 1910 Anna had begun reading her father's work, but her serious involvement in psychoanalysis began in 1918, when her father started psychoanalyzing her. (It was not anomalous for a father to analyze his own daughter at this time, before any orthodoxy had been established.) In 1935 Anna became director of the Vienna Psychoanalytical Training Institute: the following year she published her influential study of the "ways and means by which the ego wards off unpleasure and anxiety", „The Ego and the Mechanisms of Defence". In examining ego functions, the book was a move away from the traditional bases of psychoanalytical thought in the drives: it became a founding work of ego psychology and established her reputation as a pioneering theoretician. As a birthday present she dedicated a copy to her father with the inscription: „Writing books as defence against danger from inside and outside." Anna Freud bibliography. PsycheMatters.com Anna Freud. Personality Theory. George Boeree. Smith, J.C. "Freud's Disastrous Analysis of his Daughter, Anna" From the Hoots of Apes to the Prose of Hamlet: A Psychoanalytic Perspective on the Evolution of Language. Ronald Laing, the radical psychiatrist, psychoanalyst and psychotherapist who profoundly altered our understanding of mental illness, was the founder of just one organisation - the Philadelphia Association. Born in Glasgow in 1927 R D Laing studied medicine at the University of Glasgow and went on to become a psychiatrist. His first experiment in changing the way people designated the mentally ill took place at Glasgow’s Gartnavel Hospital where he and colleagues radically altered the treatment regime in a long-term women's ward. La insensibilidad del analista (manera afectada de saludar, exigencia formal de "decir todo", supuesta atención flotante que no siempre lo es y que ciertamente no es apropiada a las comunicaciones de los analizantes, plenos de sentimientos cuya expresión les presenta generalmente muchas dificultades) tiene por efecto: 1) que el paciente se sienta ofendido por la falta o la insuficiencia del interés; 2) como no quiere pensar mal de nosotros ni considerarnos desfavorablemente, busca la causa de esta no-reacción en sí mismo, es decir, en la cualidad de lo que nos ha comunicado; 3) finalmente, duda de la realidad del contenido que estaba anteriormente tan próximo al sentimiento. ¿Por qué es bueno llorar? ¿La psicología, opiáceo para los pueblos..? ¿Necesidad de un psicoanálisis de niños?